The Marriott Portsmouth hotel required updating and a substantial overhaul of the entire building, with the intention of revitalising its appearance and improving its thermal and acoustic performance externally and providing a full internal refurbishment. This will be achieved through the recladding of the hotel’s bedroom tower on all sides. 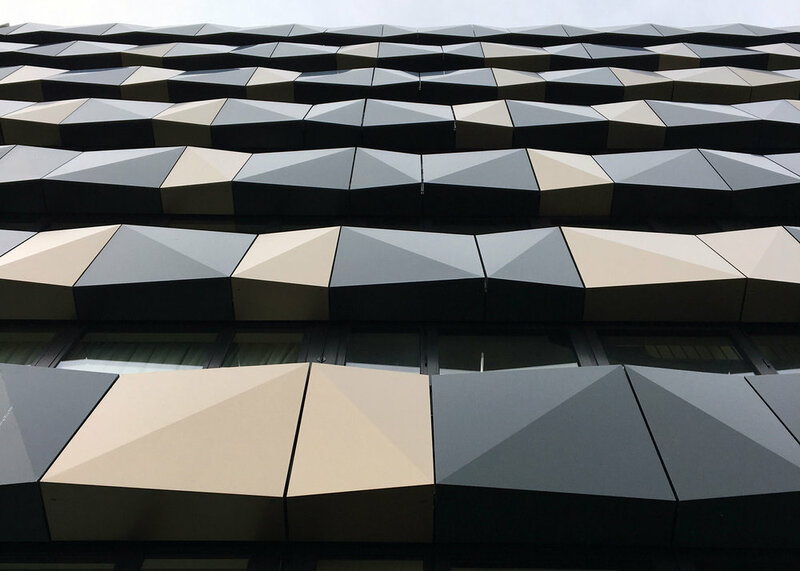 The tower features high quality materials chosen to enliven the building, making it a distinctive beacon on the main route into Portsmouth. 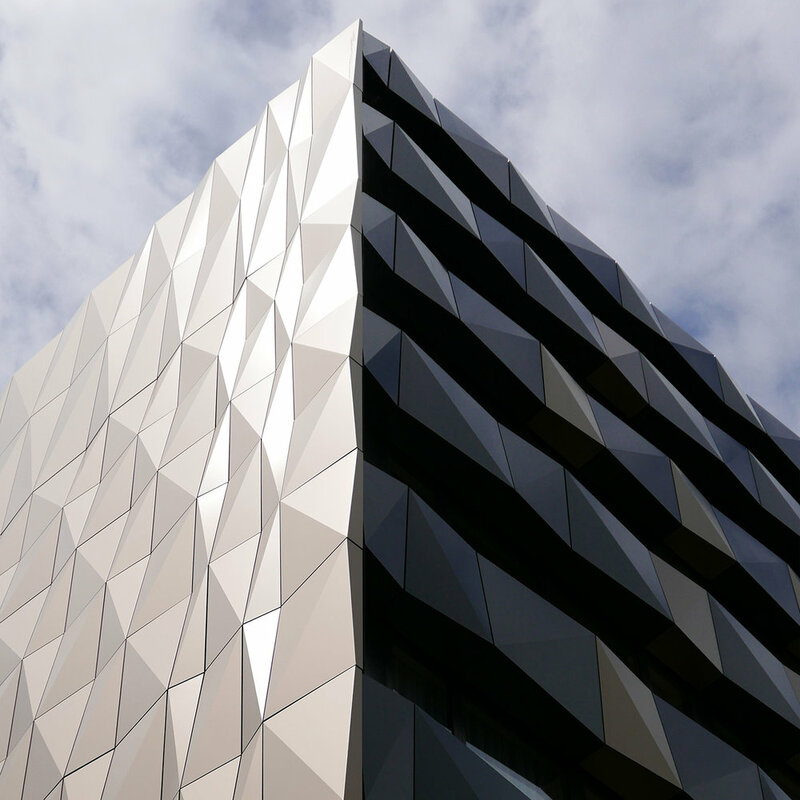 Folded aluminium-composite cassette panels were chosen to enliven the utilitarian building through both colour and shifting light and shade. This is intended to vary in appearance both on approach and when traveling past on large adjacent roads. The entrance canopies have been stripped back to slender carefully lit frames.